The SMART Scholarship-for-Service Program was established as a concentrated effort to enhance the Department of Defense (DoD) workforce with talented, innovative and brilliant scientists, engineers and researchers. For over a decade, SMART Scholars have been working within labs and agencies of the Army, Navy, Air Force and Additional DoD to support the warfighter and create an impact to secure our nation. Click here to learn more about the SMART Scholarship Program from SMART Participants and DoD Personnel. 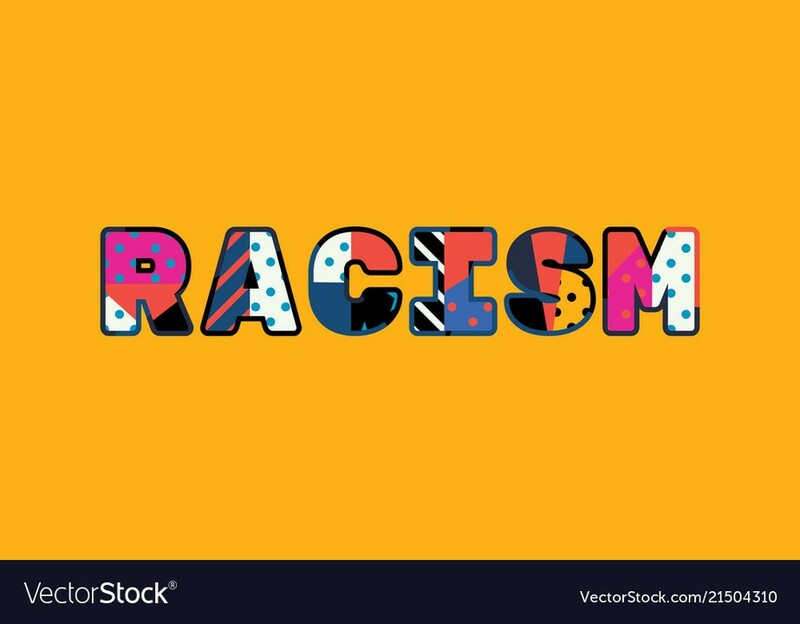 Two-and-a-half years ago, I sat through a keynote address called “This Too Is Racism” at the National Association for College Admissions Counseling’s annual meeting in Boston. I was steaming mad when Dr. Shaun Harper, executive director of the University of Southern California’s Race & Equity Center, finished his remarks. Dr. Harper, one of the country’s foremost scholars on diversity and inclusion, had been invited to address 7,000 professionals during this gathering of high school counselors, college admissions officers and others who help students make the transition from high school to college. He argued convincingly that racism is alive and well inside the college admissions world, but he seemed to be indicting people like me – white, liberal, and open-minded. How dare he? He used the deadly Charlottesville incident, which had occurred just a month earlier, to frame his message: we need to pay more attention to racism. Dr. Harper asked us to raise our hands if we had been horrified by the sight of white supremacists marching on the University of Virginia campus carrying torches and chanting words of hate the day before the Unite the Right rally, during which a car plowed into a crowd in the city center. I raised my hand; everyone else raised their hands, too. Why did he assume we were selectively horrified? We were opposed to hate in all its forms. Didn’t he know that? While Dr. Harper had mentioned anti-Semitism and homophobia at the beginning of his speech, he primarily focused on racism, a specific type of hate. I felt left out. Why wasn’t I included in a speech on hate, especially one that was framed by an event strewn with anti-Semitic symbols and chants? I scanned the room for Jewish high school counselors I might know. I whispered to my white colleagues, “We are not racist. Why is he here?” And I rationalized my reaction with a few simple words I kept repeating inside my head: I am not his audience. I am liberal. I am open-minded. This was a nice industry, full of do-gooders with open minds. Why was he suggesting that we weren’t doing enough to combat racism? I wanted to walk out. But if I did, would someone call me a racist? I tucked my thumbs under my fingers and began rubbing them. I could feel my feet tapping under the chair. The more he spoke, the more I fidgeted. I was in Boston inside that auditorium because my company teaches high school students how to write college application essays and trains professionals who work with students. We also consult with nonprofit and small business clients on strategic communication. In all we do, we teach an approach that begins with knowing your audience and understanding how they will receive your message. Did he forget who his audience was, I asked myself? It’s taken a while to answer that question honestly. But with time and some serious reflection, I realized he did know his audience. It was every person in that room with white skin. It was every person who was charged with hiring at their university. It was me. As a strategic communications professional, I have been shaking my head, questioning how blind I was that day. I teach others how to frame their messages, so their intended audiences actually hear the what they have to say. At first, I was mad at Dr. Harper for presenting his message in a way that I couldn’t accept. But it was my responsibility to figure out how to listen. He wanted me to feel uncomfortable, and it worked. When I got home from the conference, I tried to talk about the speech with my business partner. She pushed back and questioned my reaction. We all have racist thoughts, she said. We live in a racist society. I disagreed. I tried to talk about it with my 18-year-old daughter. She reminded me of a time I quickly hit the auto-lock button on my car when we stopped at a traffic light in Detroit and saw some Black men standing on the side of the road. She told me my reaction was racist. No, I told her. I always lock my door. I tried to have that conversation with a lot of people. Some gave me a pass, but many pushed back. Eventually, I realized that I needed to do my own work and own the privilege that comes with white skin, which had nothing to do with being Jewish and understanding what hate felt like. For me, it was time to acknowledge long-standing prejudices that have been taught, tolerated and accepted in the world I come from. Learning to recognize my own prejudices that have been with me since childhood has been challenging. I still have a lot of work to do. But I am no longer steaming mad; I want to thank Dr. Harper for waking me up. Raised in the Detroit suburbs by middle class parents who say they are liberal, there were no people of color on my block or at my high school. My mom said she had Black friends, but I never saw any. It was important to me to raise my daughter in a more diverse world, so we moved to a suburb with a 70% Democratic voting record, one known for its liberal activism. It was pretty much all white. I was naïve. I never even understood the term “white privilege” until venturing out on this journey. The truth: I have not stopped thinking about that speech. I have talked about it over and over again with friends, colleagues and clients. For months, I have been engaging in difficult discussions about perception, white privilege and institutional racism in person and online; I read books and articles, listen to podcasts and ask questions. A few weeks ago, I listened to Dr. Harper’s speech again. This time, I was not offended. I focused intently on the message directed at me. This time, I thought the speech was quite brilliant. Question 1: Who is your audience? Answer: White people. White people on college campuses. Any white person who work in higher education. Any group of white people. Big conferences filled with white people. Question 2: What is your message? Answer: Let me help you own your privilege. Let me make you uncomfortable, so you will truly open your minds, accept your prejudices and hopefully help effect change. Question 3: Why are you sharing this message? Answer: I want to make cultural change to improve life for people of color. I want to force higher education institutions to follow through on their commitment to diversity. Shaun Harper knew exactly what he was doing. His words lit a fire under me, forcing me to look in the mirror and come to grips with my own privilege and prejudices. You can hear the keynote on YouTube. You can follow Dr. Harper on Twitter and LinkedIn. You can email me at kim@wowwritingworkshop.com to continue this conversation. Kim Lifton, named one of 10 LinkedIn’s Top Voices in Education, 2018, is President of Wow Writing Workshop, a strategic communication company staffed by experts who understand the writing process inside and out. Since 2009, Wow has been leading the industry with our unique approach to communicating any message effectively. Click the Wow Method to find out how we help students write college application essays, grad school personal statements and resumes that get results. We also help business and nonprofit leaders create better blogs, manage social media, develop websites and create other communication materials. If it involves words, Wow can help. My campus visit mantra is: “It is worth more than two hours of your time if you might spend four years of your life there.” I am a strong advocate for visiting colleges early and often. Nothing validates a student’s research more than getting out there and visiting the campus, or “trodding the sod,” as they say in the world of college admissions. Families need to check out the layout of the campus, the updated or outdated facilities including the fitness center, dining halls and dorms and take a peek at the surrounding neighborhood and community as well. Remember, the complete college experience goes well beyond the classroom and the football field. What’s involved in a standard campus visit? A typical campus visit lasts roughly two hours and has two basic components: the Information Session and the Tour. Academics – most popular majors, new majors, distribution requirements, academic advising, research, internships, study abroad options, honors programs, etc. Residential life – dormitory choices, dining options, greek life, etc. 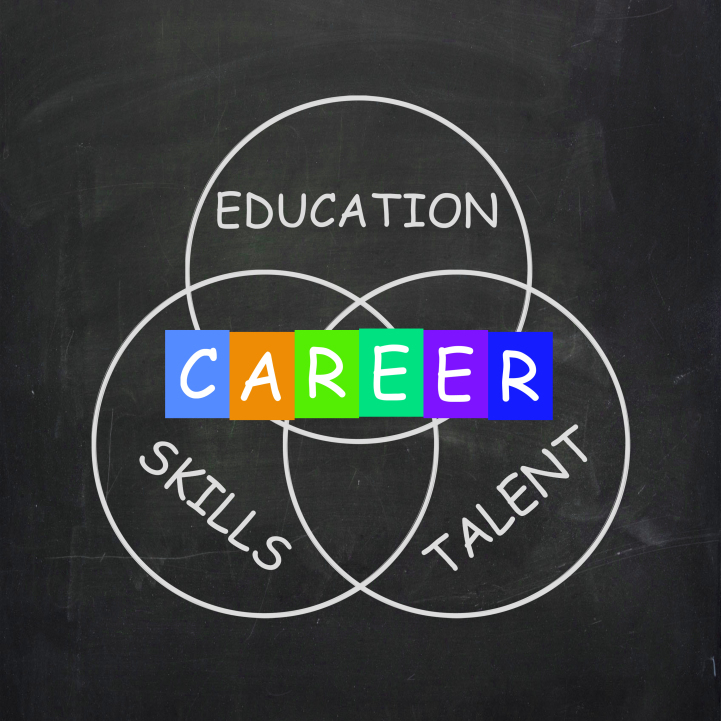 Career services – range of services offered including assessments, interview prep, resume help, corporate and graduate school recruitment efforts, percentage of students employed within six months of graduation, etc. Undergraduate life – athletics , student organizations, number and variety of clubs and extracurricular activities available. Application Process – admissions programs (Early Action, Early Decision, Regular Decision); admissions statistics (percentages of students accepted, rejected, deferred, wait-listed, etc. ); timelines/deadlines; admissions requirements; standardized testing – testing requirements (SAT, ACT, SAT Subject Tests, AP and IB exams, etc. ); subjective criteria considered (essays, letters of recommendation, extracurricular activities, etc.). Financial aid – need-based aid, merit-aid opportunities, institutional scholarships, etc. Many colleges and universities have now added entertaining videos and/or student panels where student ambassadors share information about their own college application process during high school and their current colleges experiences. Campus tours – be prepared with comfortable walking shoes. Some tours are very scripted with an overwhelming amount of dates and facts (i.e., number of books in their libraries, etc.) while others are refreshingly unscripted and often tailored to their audiences. Student ambassadors are encouraged to be honest and personable and many spice up their tours with college trivia and traditions. Did you know that the University of Georgia’s (UGA) bulldog is a real dog named “UGA.” He is thought to be the most recognizable mascot in the country. He has a student ID card and travels in his own dog house, with air conditioning! The University of Georgia is the only college to bury all its old mascots inside vaults within the football stadium. That says a lot about the culture of UGA and most prospective students love it. Everyone is familiar with the devastating physical effects of smoking. However, what people don’t think about is psychological effects. These include mood and behavior changes and mental health. How It Works — What Are the Effects of Nicotine on the Brain? When a person inhales the smoke from a cigarette it hits the lungs within 10 seconds. The nicotine from the cigarette begins to cause a series of reactions. It increases the levels of chemicals called dopamine and epinephrine. When the body releases epinephrine, or adrenaline, in high concentration, the blood pressure, heart, and breathing rate all increase. This makes the person feel energized and alert. This is what creates the “rush” or a nicotine buzz. The first few times a person smokes a cigarette, he or she experiences a “smoker’s high.” This is a short buzz with lightheadedness, an elevated mood, and a general feeling of pleasure. Why Do People Become Addicted to Smoking Cigarettes? People become addicted to cigarettes because they think they’ll get the same buzz every time they smoke one. What they don’t realize is that because of nicotine’s mental effects, they’ll never get the same rush as their first cigarettes. This is because that first cigarette raised the brain’s expectations of what pleasure should be. A person then attempts to reach this same level of pleasure by smoking another cigarette and another. Then, they’ll smoke a few more. However, that person’s “pleasure threshold” has already been raised. As a result, that same release of dopamine no longer brings him or her as much pleasure as it did. This is just one of the psychological effects of nicotine. This is also what it means to say someone is “chasing a high”. It’s because the person is chasing something he or she will never “catch” again. However, the smoker doesn’t necessarily see it that way because of the mental effects of tobacco cigarettes. If no cigarette will ever be as “pleasurable” as the first, why do people claim to feel so “relaxed” after? While both activities are plenty dangerous all on their own, many people smoke and drink alcohol in tandem. There are various reasons for that. For one, those who are used to lighting up whenever they have a drink may come to associate alcohol with tobacco. This can lead to cravings for a cigarette any time alcohol is consumed and vice versa – smoking may come to trigger cravings for alcohol. Stress is also a factor, as both tobacco products and alcohol are known for their (temporary) stress reducing qualities. Double the unhealthy actions, means double the risk. However, studies have shown that those who drink are more likely to crave tobacco products. Even those who are only social smokers, meaning they only light up in certain social situations, are more likely to smoke while drinking. That’s because both alcohol and tobacco affect the brain in similar ways. Having one can easily lead to cravings or thoughts of the other. Even when people are going through the alcohol rehab (inpatient, in the vast majority of cases), they are encouraged to quit smoking too, since smoking serves as a trigger to drinking behaviors. According to the Centers for Disease Control, 31% of all smokers are adults with a mental illness. These illnesses can include depressive disorders, bipolar disorders, and more severe psychotic disorders which require hospitalization. Like all other smokers, these people are at an increased risk for smoking-related diseases, such as lung cancer and cardiovascular disease. There are also additional risks and effects of smoking, however. Tobacco use may affect treatment for some mental illnesses, as the nicotine can react with medications the patients are taking to treat their mental illnesses. It helps with my anxiety because it relaxes me, It helps me deal with stress because it calms me down. People who are addicted start to believe that they are self-medicating. In reality, the only thing they are “treating” when they smoke a cigarette is the nasty symptoms of nicotine withdrawal. Therefore, those people are treating something that would not be there if they hadn’t started smoking in the first place. A study from the Institute of Medical Psychology and Behavior Neurobiology at the University of Tubingen in Germany supports this idea. Smokers often have a cigarette either during or immediately after a stressful event or situation. The act of smoking and the rituals associated with it seem to relieve stress temporarily, which is something the best vapes can replicate. It leads them to believe smoking actually reduces stress levels. In fact, the only things they are alleviating are the withdrawal symptoms of nicotine. The more nicotine people ingest into their bodies, the more they need to feel normal. This is why smokers seem to become irritated and angry at increasing intervals throughout the day. This anger can cause people to say or do harmful things to themselves and others. 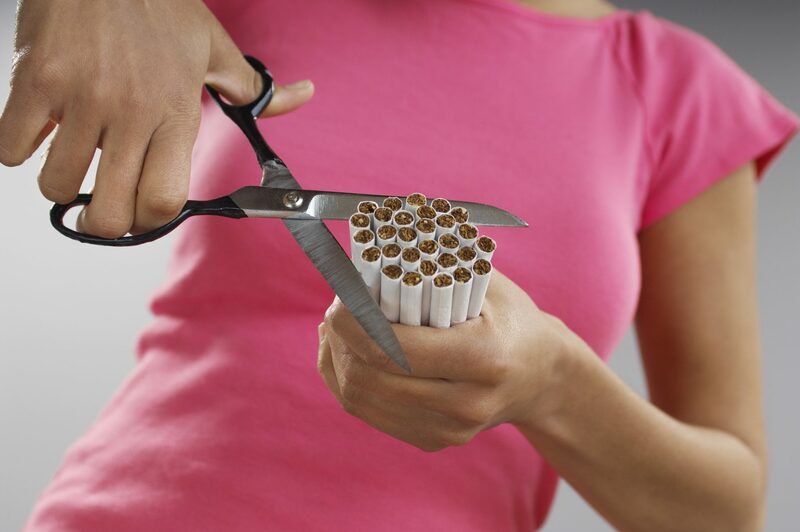 Because smokers use cigarettes to relieve stress, they begin to lose their ability to actually cope with stress. After a while, their answer for everything is smoking a cigarette instead of dealing with the underlying issues. Coping with stress is a mental skill. If people don’t use it, they lose it. Nicotine’s relationship to anxiety is similar to its relationship with stress. Anxiety is also a withdrawal symptom that tends to happen within hours of a person’s last cigarette. For heavy smokers, these withdrawal symptoms can occur much earlier. Everyone knows smoking can lead to decreased lung function. What they don’t know is how having unhealthy lungs can worsen certain symptoms of anxiety. When a person’s lungs don’t work properly, he or she may breathe faster than normal. This is to compensate for the lack of oxygen getting to the brain and heart. This, along with frequent coughing, can cause a person to hyperventilate. Hyperventilation is a common trigger for panic attacks and other symptoms of anxiety. They include rapid heartbeat, chest pains, shortness of breath, and lightheadedness. These symptoms can, in turn, create even greater feelings of anxiety. As a result, they may lead to the development of a panic disorder. According to researchers at the Centers for Disease Control and Prevention, people who suffer from mental illness are 70 percent more likely to smoke than those who don’t. There are many factors determining who does and does not develop mental illnesses like depression. Many believe nicotine is a direct cause of depression. This is due to nicotine’s effects on the dopamine levels in the brain. Smoking tobacco may temporarily increase levels of dopamine. Therefore, it increases a person’s feelings of pleasure and well-being. Eventually, these levels fall to abnormally low levels, causing the person to feel unhappy. If this pattern continues for days, weeks, or months at a time, the person’s dopamine pathways stop working normally. This is why one of the negative effects of nicotine is the development of mood disorders such as depression. According to the Royal College of Psychiatry, 90 percent of people with schizophrenia smoke. This may be because people with schizophrenia smoke in an attempt to manage the symptoms of the disease. Or it might be to counteract side effects of their medication such as restlessness, tremors, and muscle spasms. Some studies have even shown smoking to have positive effects on attention, working memory, and reflexes in people with schizophrenia. According to the CDC, suicide is the 10th leading cause of death in the United States. In 2013, there were 41,149 suicides. Some of the neurochemicals released while smoking are considered to be psychoactive, and can modulate behavior. This issue is the basis of a new study which demonstrates that smoking may cause psychosis. This reasoning supports the mounting evidence which suggests that smoking actually increases the risk of suicide. It has been well-documented in the past that there is a strong relationship between smoking and mental disorders. However, it was previously assumed that those already suffering from mental disorders were more attracted to smoking. This new evidence demonstrates that there is an opposite relationship where smoking actually creates the risk of psychiatric disorders. Increasing the risk of worsening psychiatric disorders, it also increases the risk of suicide. Since smoking can physically change the structure of your brain, it must be acknowledged that smoking can also control or manipulate behavior. We are asking that everyone come together to help detour those at risk of suicide by educating them and supporting them in their efforts to quit. Supporting this cause may save a life, maybe someone’s very close to you. For smokers, quitting can seem incredibly intimidating. Every smoker knows what happens when he or she goes without a cigarette for too long. Feelings of anxiety, frustration, and anger begin to emerge. That person becomes quite obsessed with the thought of smoking. This is what makes it so hard to quit. Some patients who suffer from one form of mental illness or another begin smoking within the walls of a mental health treatment facility. These facilities often allow patients to smoke on the premises, and some even offer tobacco products as rewards for good behavior. The health implications of these actions have been largely ignored until recent years, as most of the staff’s efforts are generally focused on treating the illness. Many patients recover from their disorders well enough to leave the facilities and refocus on living a normal life, but once the smoking habit has started, it can be a hard one to break. Once the mental illness is under control, many sufferers want to quit smoking but find that it is more difficult than they imagined it would be. This can cause frustration and may hinder the recovery from some depressive illnesses. However, there are things a person can do to make the process easier. They will give him or her a much better chance at success. Take a journey in your mind. Think of yourself at the beach or in a garden or the mountains… anywhere you want. Close your eyes and think about what it would feel like to be there right now. Enjoy all the little things in this beautiful place. Even handling cigarettes, lighters, or matches can be triggered. Finding all of the lighters in your house, car, or purse and throwing them away can eliminate lots of them. Another way people can increase their chances of success is to mentally prepare oneself for the withdrawal symptoms ahead. By doing this, people can strengthen their ability to fight off cravings. Having a quit smoking app is like having a family member, friend and quit smoking counselor rolled into one and close at hand. Whenever the urge to smoke strikes, a person can reach for their smartphone and get help, support and motivation to stay strong. Take the pressure off, and go somewhere that does not allow smoking. If the cravings are getting to be overwhelming, a smoke-free environment can be a haven that saves someone from deciding whether to smoke or not, because they cannot. Try going to a mall, movie theater, or public library and stay there until the cravings subside. Prescription pills are widely available to help people quit smoking. They are often recommended for heavy smokers, and they are only accessible through a prescription from a doctor. Smokers should ask their doctor if quit smoking medications are right for them. Addiction is a spiritual battle that rages every moment of the individual’s life. It is something that twists the soul, deranges the mind, and corrupts the heart. However, as millions of addicts around the world have come to know – hope is not lost. Recovery is possible for all who wish to possess it. Support is requested by all recovering addicts, and all who are involved with the process of recovery. With all that has been fought for, one more fight is needed. That is why it is imperative to spread awareness on the true effects of smoking. Through education addicts can recover fully, and ensure the disease remains in remission. Roughly one-third of bachelor’s program graduates will go on to earn a graduate degree. However, advanced credentials are more common in certain academic fields than others. Some majors are encouraged to earn a master’s degree or ph.D. in order to fulfill the necessary educational requirements of their profession and compete with other qualified candidates in the job market. For others, post-bachelor’s education may prove to be an unnecessary investment that forces students to incur more tuition debt without improving their standing in the current workforce. ‘The Economic Value of College Majors’ includes a comprehensive list of more than 130 specific majors ranked by the percentage of students who go on to earn an advanced degree. We’ve categorized each of these majors using the 15 major subgroups above and calculated an overall average for each subgroup. These findings are listed in the table below. Please note: some specific majors were counted for more than one major subgroup. For instance, ‘Geological and Geophysical Engineering’ was counted in both the Architecture/Engineering and Physical Sciences subgroups. College tuition and fees continue to increase at rates higher than inflation each year and it can be a problem for many of your students as to how to fund that college education. Luckily, there are many great scholarships available to help cover some of those costs. Oneclass.com has put together a nice list of scholarships available on a national basis. Rather than going after several smaller awards, you could focus on high-dollar opportunities. These are some of the biggest grants and scholarships for 2019, but keep in mind that the competition can be intense. Burger King Scholars: Top award winners receive $50,000, with 3,400 students awarded various amounts each year. Cameron Impact Scholarship: About 10 to 15 winners receive full tuition and expenses for the four years of their degree. Coca-Cola Scholars Foundation: Each year, about 150 college students receive tuition assistance of $20,000. Dell Scholars: Recipients receive multi-faceted support for college, including a $20,000 financial award. Elks National Foundation Most Valuable Student: Each year, 500 students receive awards up to $50,000. Microsoft Scholarship Program: Students in STEM majors can be awarded full tuition. National Eagle Scout Association STEM Scholarship: Each year, an Eagle Scout majoring in a STEM subject is awarded $50,000. Rose Scholars: The top award winner receives $25,000 per semester (up to $200,000) toward a college degree. 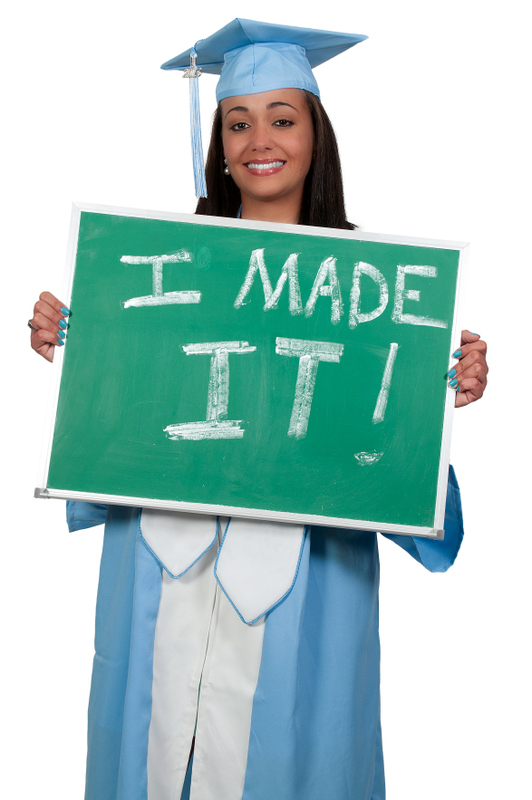 Dream.us Scholarship: The national awards program provides full tuition assistance and is renewable each year. Gates Millennium Scholars Program: Each year, 1,000 students of color receive an average award of $12,785. Horatio Alger National Scholarship Program: One hundred students with “critical financial need” receive a $25,000 award. Jack Kent Cooke Foundation’s Scholarship: Recipients receive up to $40,000 per year for four years of college. Davidson Fellowship: Students who’ve completed a significant academic project can be awarded up to $50,000. GE-Reagan Foundation Scholarship: Recipients receive $10,000 per year for four years. Google Scholarships: Several programs are available providing awards up to $10,000. National Merit Scholarship Program: Awards of $2,500 are given to students to achieve the top 3 percent of PSAT scores. Phi Theta Kappa Honor Society Scholarships: Over 250 undergraduate students receive awards up to $30,000. SMART Scholarship Program: It’s short for Science, Mathematics and Research for Transformation, and full tuition stipends of $25,000 to $38,000 per year are awarded with the expectation that students complete one year of employment at the Department of Defense after graduation. There’s a growing pool of money available for esports competitors, with available funds increasing five-fold in the past four years. 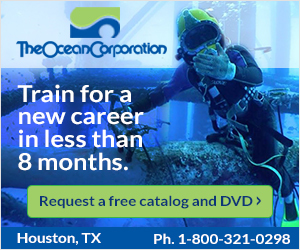 Award rates average $4,800 per year or up to 50 percent off tuition. Below are some of the major programs to consider. Check NACE’s complete list of colleges that offer esports to see which team you might want to join. Gamers Helping Gamers: College scholarships are funded directly by the gaming community, and the NYT reports that awards can be $5,000 per year. NYU Game Center Evo Scholarship: When the esports program kicked off in 2014, the first recipient received $20,000 toward an MFA in competitive game design. Riot Games: Nearly $500,000 in scholarship funding is distributed to the esports teams at the Big Ten schools. University of California – Irvine: The esports program at UC-Irvine is one of the best, and varsity players can receive $6,000. The school that you’re attending may offer its own set of awards that have been funded by alumni, local businesses, or other partners. Your application for these awards will likely begin with a FAFSA application for federal student aid. The FAFSA results will initiate your school’s internal financial aid awards process to identify your eligibility. Does your area of study have a leading professional organization? 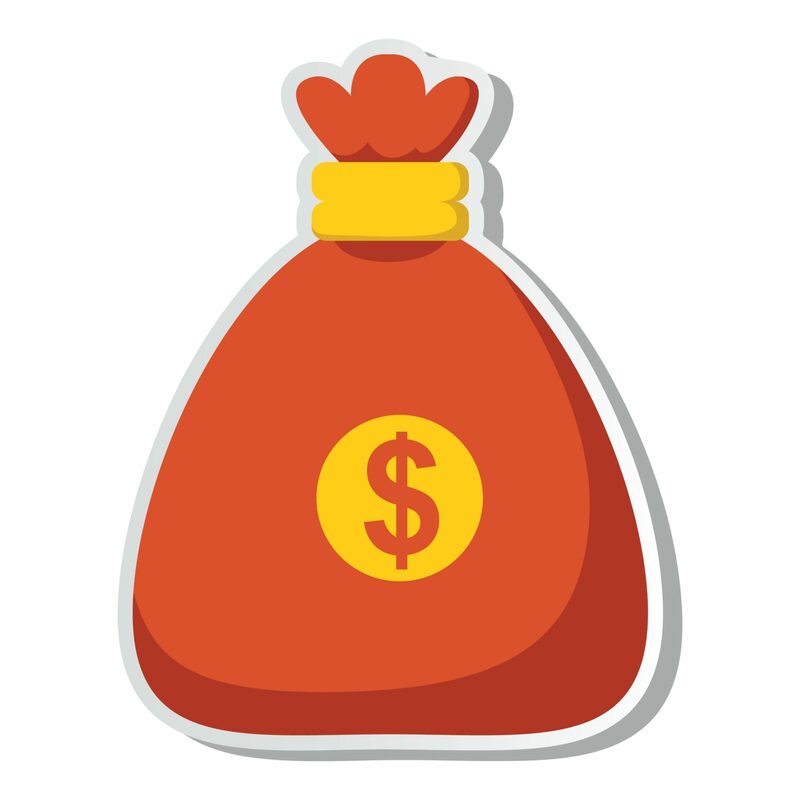 If so, it could be a great source for noteworthy funding opportunities in your area of study. For example, the IEEE had funded several awards for students majoring in computational and technical degrees. In another case, marine biology students could benefit from the Marine Technology Society’s listings. Additionally, these opportunities have a potential secondary benefit of providing access to postgraduate fellowships or networking events, helping you fuel your career before it’s even begun. Billions of dollars are awarded each year to student athletes, but only 2 percent of high school athletes are recruited to play college sports, according to the NCAA. Keep in mind that athletes who keep their grades up may have more academic security, making them eligible for merit-based opportunities if their team’s funding changes or they suffer an injury. There are many ways to get the perks of being a college athlete, even when you’re not on the team. OneClass also put together a list of nine top scholarship directories to search for additional opportunities. It’s no secret that teens are subjected to immense amounts of pressure to succeed in almost every aspect of life. Society places a high value on academic, social, economic, and athletic achievements. Putting teens at a higher risk for abuse, it’s no surprise that our country is in the midst of an ever-evolving substance abuse epidemic. According to SAMHSA, 30.5 million Americans, aged 12 or older, were reported to actively using illicit drugs within the previous month. In other words, roughly 11.2 percent of people aged 12 or older. Approximately 26 million of those teens used marijuana, 3.2 million teens abused prescription pain relievers and 2.2 million teens were reportedly using cocaine. The goal of a school counselor is to not only help students stay on track academically but in all aspects. Many students turn to school counselors to provide an overall positive direction as well. With the crippling numbers of teen substance abuse on the rise and student safety in question, it is crucial for school counselors to recognize the signs of addiction. School counselors have a huge impact on substance abuse education, prevention, and treatment, and providing a safe space for struggling students. 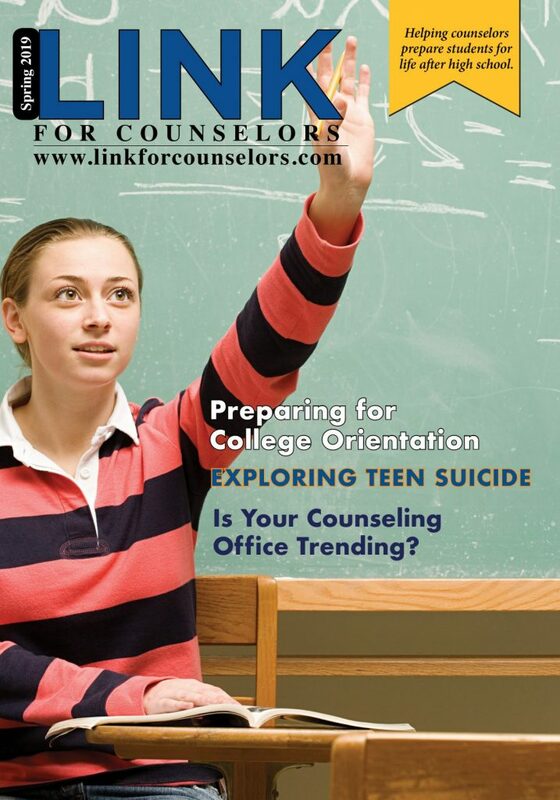 Counselors can improve protective by encouraging academic success, teaching self-esteem improvement skills, healthy living skills, improving family communication/dynamics, and connecting at-risk teens with peer leadership and prevention groups. There have been impressive successes directly attributed to the implementation of substance abuse counseling in schools. For example, the School District of Escanaba, Michigan saw a dramatic decrease in monthly drinking averages from 17% to 7% over the span of seven years. Incorporating substance prevention campaigns, parent involvement, and open communication, there was a major shift in the district. As the need for substance abuse counseling increases, it is important to make way for education and provide resources to students. For more information on teen substance abuse please feel free to look at this comprehensive guide. What if instead of taking the SAT or ACT test your students could play an interactive video game? If it’s up to one company it could happen! A newly published piece by Bloomberg Business News about Rebecca Kantar, explains how the paradigm shift away from the traditional screening methods of candidates using outdated multiple-choice standardized tests, to a revolutionary and much more comprehensive game-based simulation testing scenario which more accurately assesses one’s critical-thinking ability is vitally important. Kantar is the founder of Imbellus Inc., a startup in Los Angeles that aims to reinvent testing and, in the process, challenge the received wisdom about what students are expected to learn. The digital assessments Imbellus has developed resemble video games. Placing users in a simulated natural environment, they present test takers with a series of tasks, all the while capturing the decision-making process used to complete them. And because each simulation delivers a unique user experience, they’re intended to be cheatproof. Jordan Nixon has received 39 college acceptance letters so far, all without celebrity parents or $500,000 bribes. It just took years of planning, a private college adviser, 50-plus applications and the unwavering support of family. As the nation’s largest-ever college admissions scandal surfaces this week, with celebrity parents and rich CEOs accused of cheating to get their children into prestigious schools, the Nixons are navigating college admissions like the rest of us. But they’ve found extraordinary success, discovering how the journey to college remains daunting – yet possible – in 2019. For the Nixons, the multi-year process entailed early college visits, regular check-ins with her adviser, ACT and SAT prep, careful budgeting and essay after essay after essay. The result? Schools from across the nation welcoming Jordan and $1.6 million in scholarship offers. Jordan has always been a “high achiever,” her mom says. She won elementary school spelling bees as a child and her poetry ran in Highlights for Children. The mom knew if she invested in her daughter’s process early, she’d see results. The college tours began during Jordan’s sophomore year. Angelia Nixon talked to admissions advisers and filled out info cards. They made a broad list of schools. Jordan set sights on a major – international business. The private college adviser began her junior year. That’s when things really picked up. Jordan worked with Cynthia DeBerry Flowers, of Atlanta-based CollegeForSure, on every aspect of the college application process. Jordan’s mother wanted her to receive more attention than her school district was able to provide, so they looked into hiring a coach – an uncommon move in their district. Private college advisers the Nixons reviewed ran from $3,000 to $9,000 for total services, the mother said. Angelia Nixon, an insurance broker, and Jordan’s father – Arthur Nixon Jr., a police investigator – ended up paying somewhere in between, she said. DeBerry Flowers touched base about two or three times a week, Jordan recalled. They did resume prep. They set SAT and ACT goals. They worked on essays. Oh, the essays. “I didn’t realize how important essays were until the moment I had to do more than 20,” Jordan said. Jordan wrote at the kitchen table, laptop open, her parents editing over dinner. A calendar on the wall listed every school application date and whether Jordan would apply for early action – an option that gives students an early heads-up on acceptance. Jordan and her adviser firmed up her list of schools. A process of elimination began, looking at U.S. News and Forbes rankings, activities offered, graduation rates. The college application frenzy peaked in October and November. Some applications cost as much as $80, Angelia Nixon said. When college fairs offered free applications, they filled out every one. They also used the Common Application and the Common Black College Application, both of which let students apply to tens of schools at once. “So much easier,” Jordan said. The ease of the all-at-once platforms let Jordan apply for 68 schools, her mother said, plus another three from college fairs and elsewhere. Jordan’s senior year unfolded. She stayed busy with extracurriculars – cheering co-captain, a leadership academy – as the acceptance letters landed. The first, Grambling State University, in July 2018. The most recent, Xavier University, arrived this month. Jordan has until May 1 to make a decision. “I’m definitely still in the process,” she said. “Here’s the thing: It’s a very, very competitive process,” said Lisa Guss, an independent college counselor and co-author of “The Essential College Admissions Handbook.” She tells her clients this: The best schools may not be the best schools for you. Ivy League schools may require applicants to have “everything and then some,” but the majority of colleges just want a student to show growth. That could mean tackling more rigorous course loads each year or zeroing in on extracurriculars over time that show deeper involvement in a specific area or cause. Those less stringent schools that embrace a student’s growth may often be the better fit. All-in-one platforms like the Common Application let students apply for multiple schools at once. And that means way larger applicant pools for many schools, said Shari Kramer, a college consultant who co-authored “The Essential College Admissions Handbook” with Guss. One way a student can differentiate is by showing interest outside the application process, Guss said, which many colleges track as “demonstrated interest.” That could look like a campus visit, a personal email or even opening an email from a school – an act many schools see and note. Deep partnerships with schools and teachers proved critical for Jordan’s success, her mom said. Open communication with Jordan about her schooling also proved critical, she said, letting her know – and advocate for – her child better. The college admissions scandal has exposed the extreme lengths some wealthy families will go to secure a spot for their child at their dream college. It’s possible to find and stay in a college with life-changing potential, even without exponential resources. Indeed, the schools that educate the bulk of American college students get a small fraction of the attention and aren’t nearly as selective as the colleges caught up in the alleged bribery scheme. “Stop worrying about getting into one of those elite institutions that less than 1% of students go to,” said Elizabeth Morgan, the director of external relations at the National College Access Network, a membership group for organizations working on college access, cautions against obsessing over achieving those qualities. The difference in post-graduation earnings between students who attend a state public flagship college and students who attend a more elite college isn’t much, said Doug Webber, a professor at Temple University who studies the economics of higher education. Students who attend elite colleges often make more money, but that’s at least partly due to connections they made before they ever became freshmen, he said. Many of the colleges educating the bulk of American students lack resources, which can make it difficult for students to get through school. You may fall foul to the same lack of support that drove previous students out of college before graduation. “Completion matters,” he said. Though Morgan advises against padding your résumé or obsessing over test scores, there are some free resources students can use to improve their applications. For example, you can take practice standardized tests at these sites for free: Click here for the SAT and click here for the ACT. Morgan also advises students to be confident in their preparation. “You have a lot to offer,” she said. Students who don’t have unlimited resources to pay for college should fill out the Free Application for Federal Student Aid, which opens each year on Oct. 1, as early as possible, said Faith Sandler, the executive director of the Scholarship Foundation of St. Louis, which works with low-income students applying to and attending college. That way, they can at least identify themselves as someone who could qualify for aid from their school, she said. Sandler also recommends students apply to a range of schools. She also advises students who might have financial constraints to avoid applying to a college through its early decision or early action program. “To be preemptively deciding that one school is the one and only school is really dangerous for students who don’t have an open checkbook,” Sandler said. A good list should include at least three or four schools with a range in selectivity, Morgan said. Though these schools may measure up differently on various metrics, Sandler cautions against using phrasing like “safety” or “fall back” when characterizing schools on the list. That way, students can feel empowered to make a decision about which college is best for them based on a variety of factors. College pricing isn’t always transparent, so students should rid themselves of that assumption, experts say. As a general rule, public colleges are going to be the most affordable options for students. But in some cases, private colleges that seem expensive may offer generous financial-aid packages to low-income students. In other words, know the difference between the sticker price and the actual price, Sandler said. Students who want to see how much they might actually pay to attend a given college can consult the school’s net-price calculator, which provides an estimated price for a school based on a student’s income and other information. Sandler says she frequently hears from students reporting a piece of dubious, third-hand information about the college process. “Discount or, at least, verify advice people give you who are not professionals in this field,” Sandler said. That advice is likely even more important in the current environment where headlines continue to swirl surrounding the opaque college admissions process. Often when students first arrive at college it can be tough to adjust to the academic, social and financial expectations. If students find themselves struggling, “The worst thing at that point is to freak out and beat up on yourself,” Sandler said. “The best thing is to figure what resources exist and take advantage of them,” she said. Big Future is a site from The College Board that can provide students with a guide of sorts on how to apply to college, Morgan said. Get Schooled is a site with free information on applying to and paying for college that also has a free text help line, he added. Bottom line: The more research you do in the months and years leading up to college, the better. Once students have been admitted to college, they should weigh a variety of factors when considering their options — not just prestige — experts say. That may mean choosing a school that has affordable child care nearby or is close (or far away from) home or has a particular suite of professors in the field you plan to study. 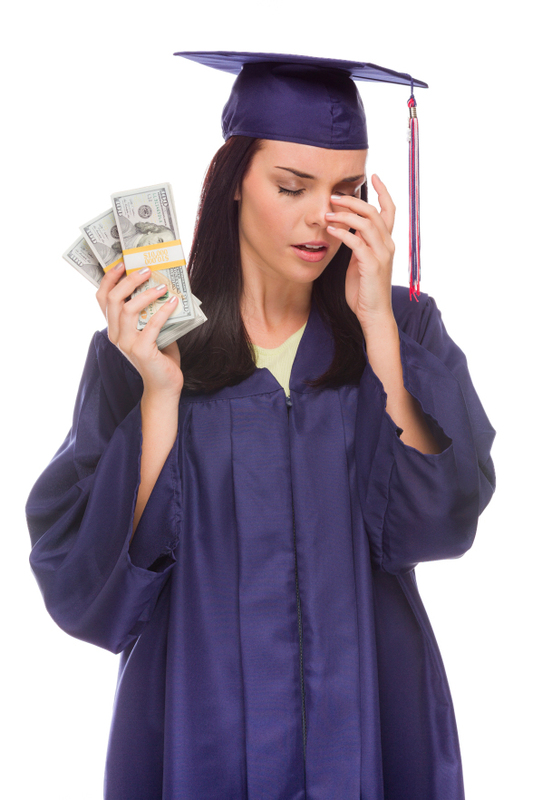 Roughly 70% of bachelor’s degree recipients graduate with student debt, so avoid taking on too many student loans. 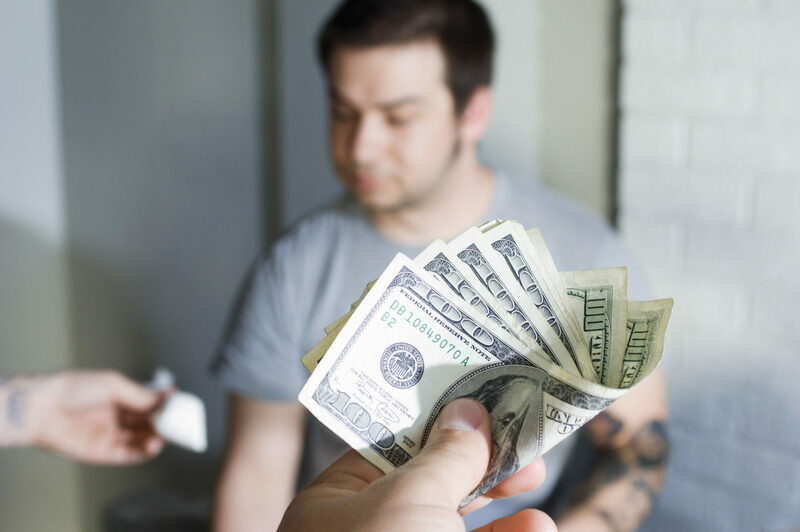 Financial-aid consultant Mark Kantrowitz advises students against borrowing more then they expect to make during their first year out of school. That will help avoid unnecessary anxiety and the need to work too many extra hours on top of your school work. This blog was published on Market Watch. They offer a daily roundup of the top reads in personal finance delivered to your inbox. Subscribe free to MarketWatch’s Personal Finance Daily newsletter. You can Sign up here.